Yes, among the automotive products on display at the 2019 GIMS, there are several vehicles that seem quietly to attract the attention of visitors. 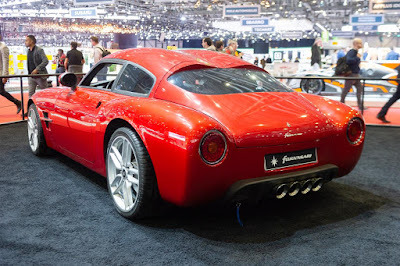 Let's us take look at one of them, ie a pretty interesting concept car named Fornasari GT 311 Gigi made and designed by Fornisari Cars. Have you ever known those automotive company? We are sure that most of you might doesn't know and might newly found out this time. This company is an Italian automotive company which was officially founded in 1999 by Giuseppe Fornasari with a group of friends supporters. 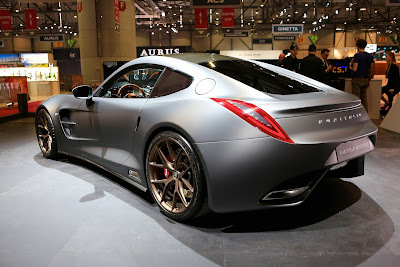 And actually the company was not a new name in the automotive world, after the adventure in the world of motorsport since the early '90s, with the Corvette purchased in America and the desire to prepare for racing. 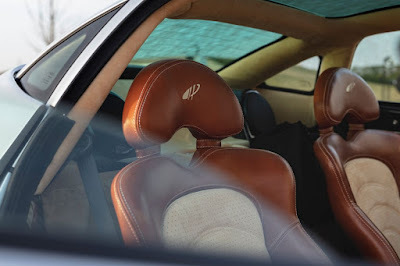 The world of racing and Gran Turismo is always the backdrop to the life of the promoter of this initiative, thanks to his father, Gigi, Alpha skilled pilot Maserati and fifties, who sent his son a passion for not only cars but also a wealth of technical knowledge and human resources. Back to the car. 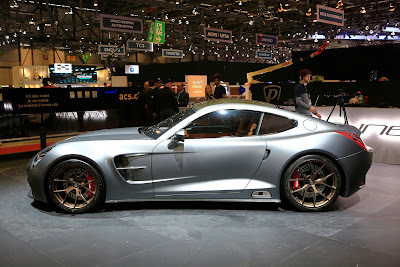 It might looks like a Ferrari, maybe the Jaguar, and has something of Aston Martin, or maybe it is a Mercedes. In any case, comes from fifties of last century. 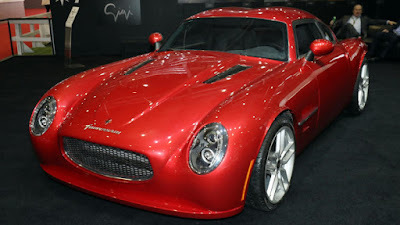 Yes, from its exterior actually looks like the 1950s GT but packed in a tweaked and power avatar. 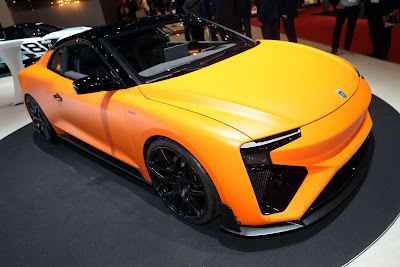 The company said that the concept of the car was designed since 2013 and newly in 2018 it was made into a real car like its current form. 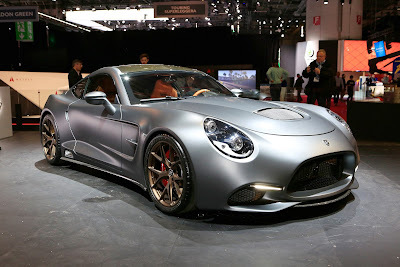 The design is, it can be said genuine, and while under its hood is there's lay a 6.2 liter (some says it taken of Corvette V8) engine with 500 horse power maximum. It is understood that it had to be modified to accommodate this engine block in the body. 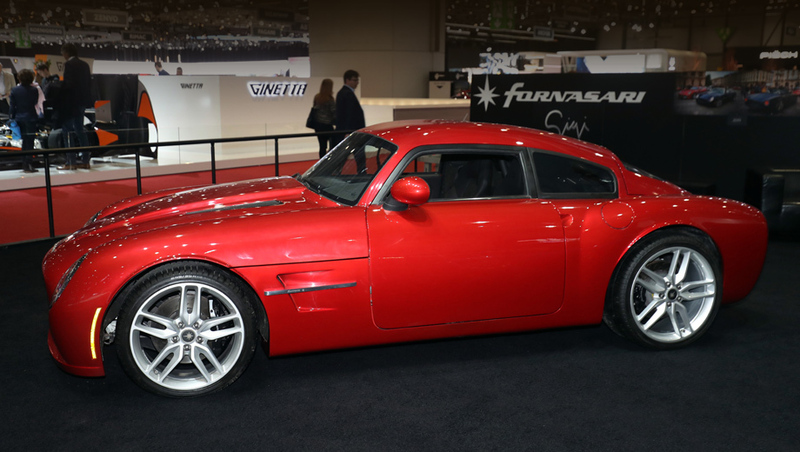 These old-school 1950s style GT-car is a 2-seater car which can be customized as coupe or convertible without changing the lightweight frame which speaks when travelling at higher speeds. By the customer demands, the car can be made of aluminum or composite material. The chassis is made ​​of steel alloyed with molybdenum (some believed there is chromium) and consists of 450 pipes or tubes. 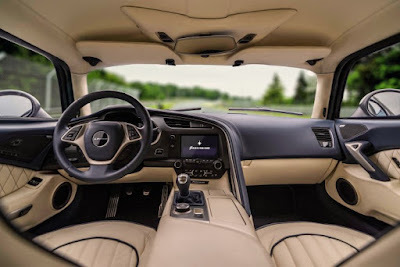 The interior is dominated by aluminum, wood and leather, and clearly, everything is hand processed and merged together. There are options to choose the decoration and styling according to one’s taste in a variety of fabrics including rare wooden linings. 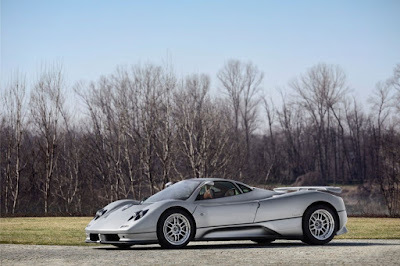 As quoted of eXtravaganzi, these old-school style GT-car can accelerate from 0 to 60 mph (100 kph) in only 3.5 seconds and its gas pedal can be pushed up to reach max speed is 200 mph. 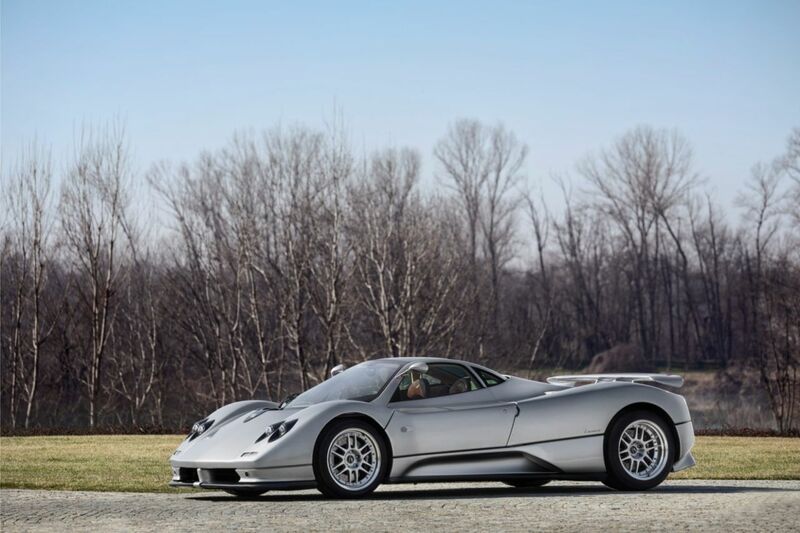 And from the same sources, the car's price is estimated around $300,000. In our opinion that is a reasonable price for such a pretty car like this. Aston Martin Vanquish has always been a great grand tourer, but he is not on the same level as other supercars, like Ferrari or McLaren. But it seems that it will change soon, because the British automotive manufacturer has just inaugurated the Aston Martin Vanquish Vision Concept at the Geneva International Motor Show 2019 and served as a preview for the upcoming mid-engine supercar of British manufacturers. These new Vanquish supercar will be placed under the Valkyrie and 003 in a row of Aston Martin cars and will compete with the Ferrari F8 Tributo and McLaren 720S. 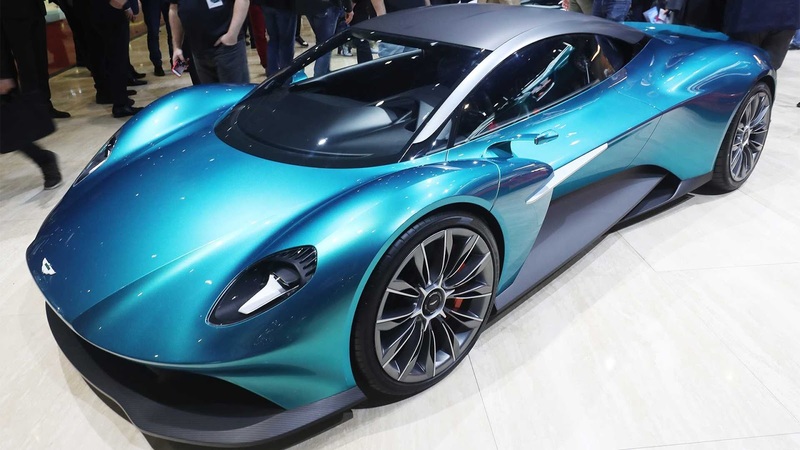 Aston Martin stores a lot of core details from the Vanquish Vision Concept, but has confirmed that it will feature the new V6 engine that will debut in the form of a hybrid turbo in 003 hypercar. 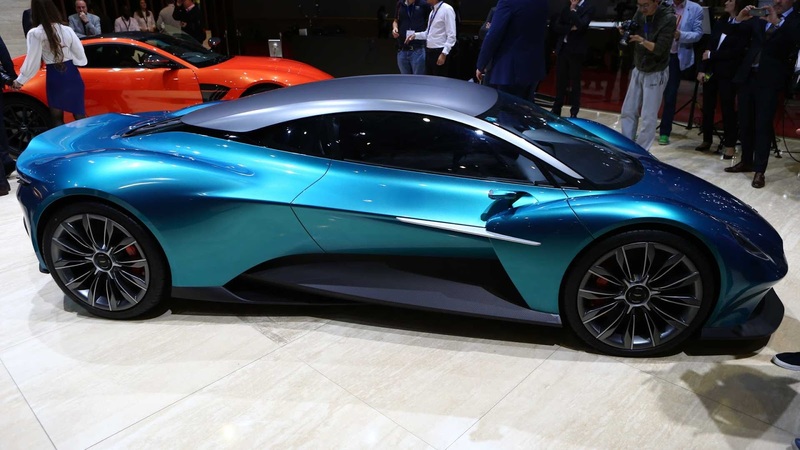 Aston Martin has also announced that Vanquish Vision Concept does not use monocoque carbon fiber chassis like Valkyrie and 003, and instead uses a special aluminum chassis. 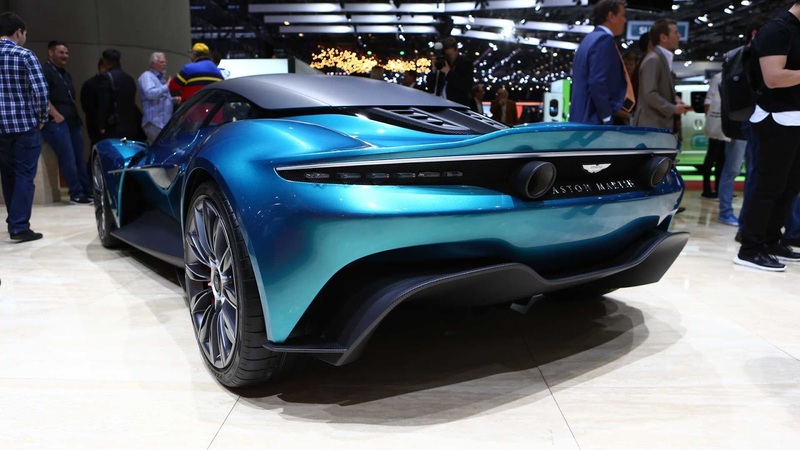 This platform will be cheaper and easier to produce than carbon fiber and allows Aston Martin to price at the same level as its competitors. 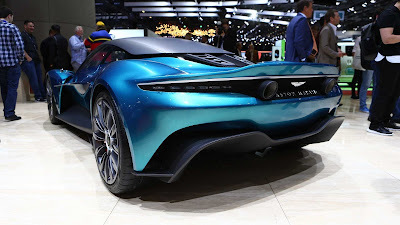 "First, how nice it is to revive the name Vanquish," said Aston Martin CEO Andy Palmer about the vehicle. "Synonymous with our flagship model, it feels very appropriate to install it on a car that is so significant." 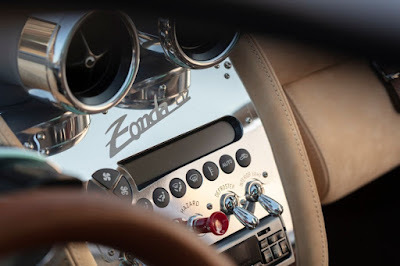 Furthermore he said, that the Vanquish Vision Concept marks another important moment in the history of Aston Martin, and another critical step in realizing the Second Century Plan. Our first mid-engine supercar production will be a transformational moment for the brand, because it is a car that will drive the Aston Martin to the market sector which is traditionally seen as the center of luxury sports cars. If Apollo Automobili, the company built from the remnants of the Gumpert manufacturer continues to amaze people with the Intense Emozione. 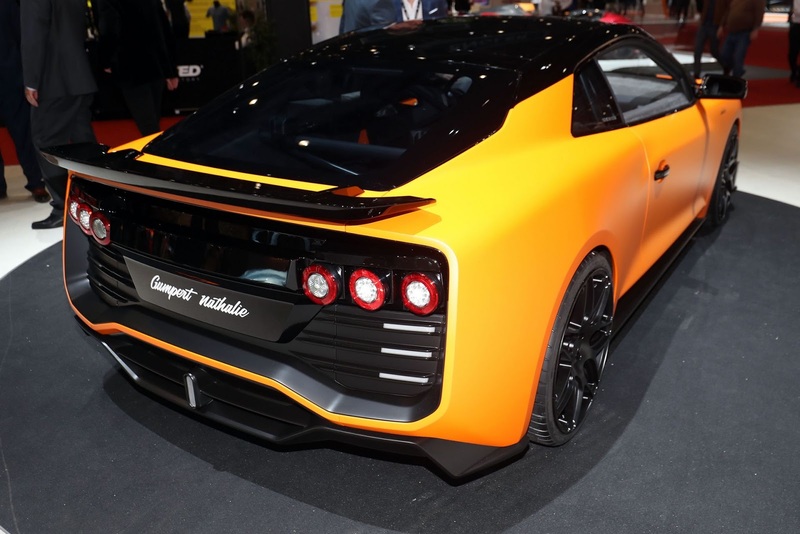 But Roland Gumpert himself is busy by working in the newest automotive company, and the following are the results. Yes, a new sportscar results from a partnership between Gumpert and the Chinese company Aiways named Gumpert Nathalie. This is a very impressive sports car, utilizing an advanced electric powertrain and having a form that might remind us a bit of the figure of the Audi Sport Quattro Concept. This sports car is armed with 4 electric motors, each of which can produce power of 137 bhp and 170 lb-ft of torque. But they do not receive power from the battery. The Gumpert Nathalie actually uses a stack of hydrogen fuel cells. 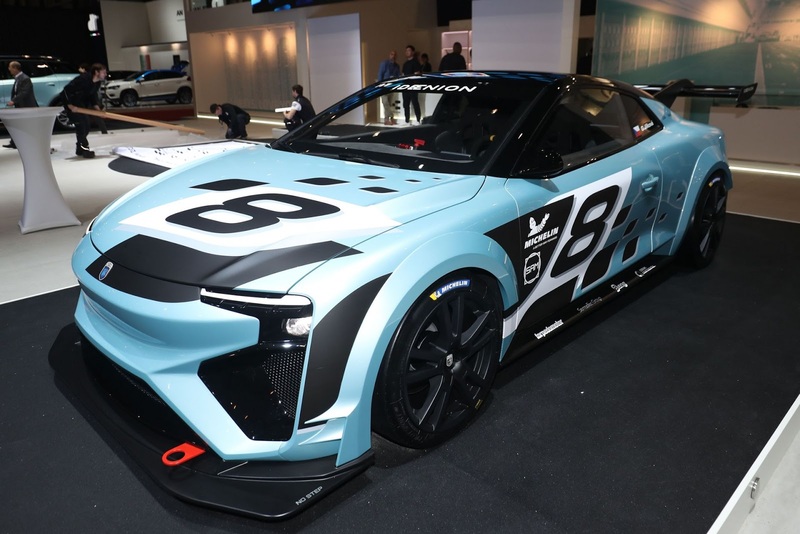 Aware of the lack of hydrogen fueling stations around the world, Gumpert and Aiways have implemented methanol modifiers. Then they collaborated with Serenergy, a Danish company to make a stack of methanol fuel cells, the results of which are claimed to provide more efficient electricity than standard hydrogen cells. This system takes methanol and can divide it into carbon dioxide released into the air, while hydrogen is channeled to fuel cells. By using this setup, the car is reported to accelerate from 0 to 100 kph in 2.5 seconds and the top speed reaches 300 kph. 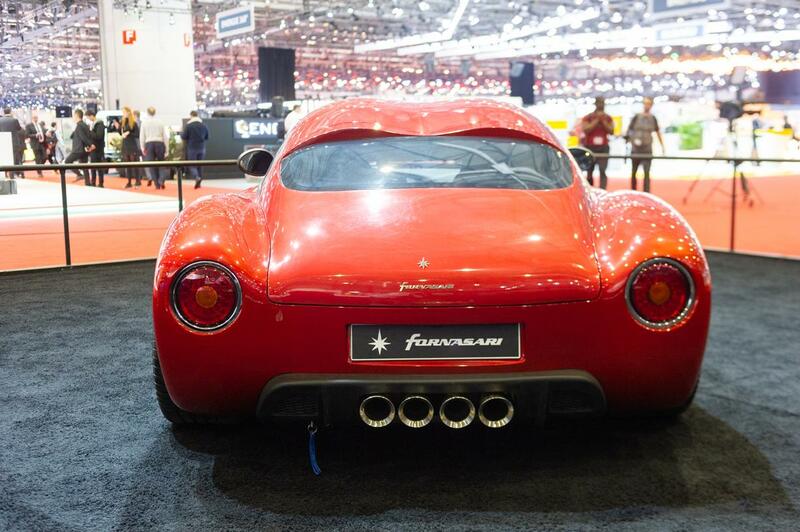 Amazingly, this sports car is claimed to be able to travel a distance of 595 km when driven fast and more than 1,126 km when running normally. This sports car was first unveiled at the 2018 Beijing Auto Show held on January last year, where the car appeared in an attractive purple color. 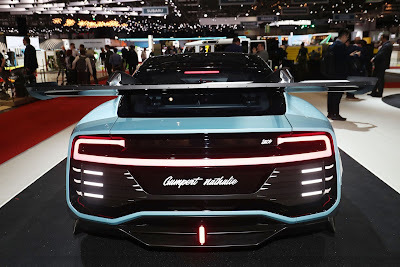 And now at the Geneva International Auto Show 2019, Gumpert brought a pair of Nathalie models and giving the European public their first taste of the innovative sports car. The front fascia combines sharp lines, large air intakes, and DRL lights similar to the Aston Martin Vulcan. On the side there are matte black alloy wheels and body lines that resemble the Nissan GT-R. At the rear, these Nathalie sportscar is equipped with LED rear lights and additional lights underneath.